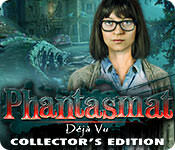 presents the next chilling installment of the classic Phantasmat series! sorry for the late, Razz has summer job! RFS tells me that everything should be working again. please send me a message when you extend your RFS account!! Many thanks and a wonderful weekend, RAZZ & VELOCITY !!!! Thanks for the game and good news. enjoy your weekend razz, thanks for the game. Thanks RAZZ and VELOCITY! Happy Weekend! WooHoo! Many thanks to Razz and Velocity!